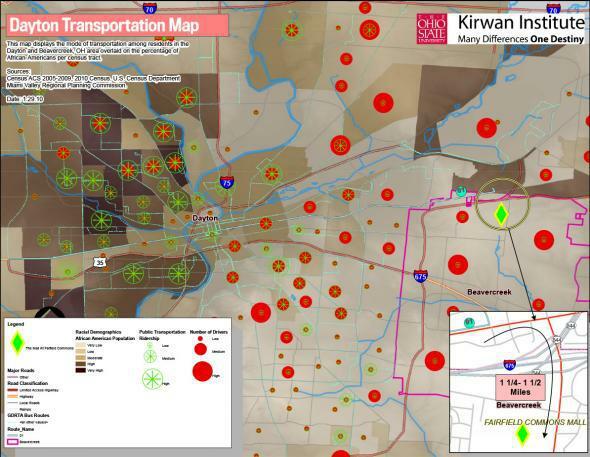 America’s transportation system discriminates against minorities and poor: Federal funding for roads, buses, and mass transit still segregates Americans. 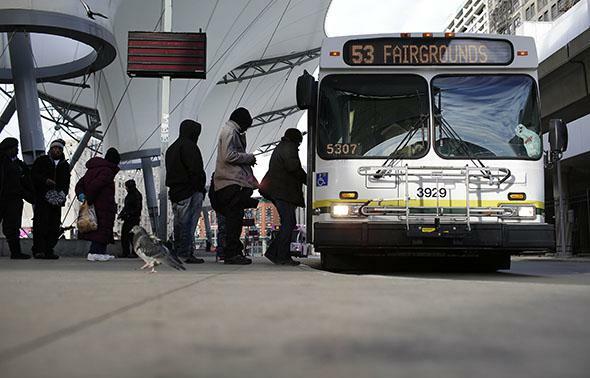 Commuters board the bus at the Rosa Parks Transit Center in Detroit on Jan. 1, 2015. 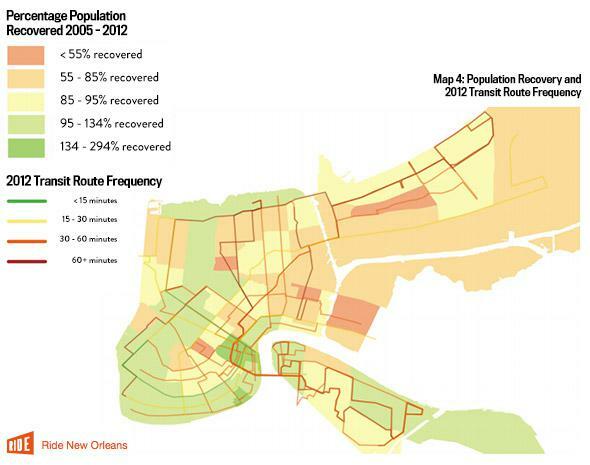 Race and transportation have long been intertwined, from federally funded highways that plowed through minority neighborhoods to Rosa Parks and the Montgomery Bus Boycott. 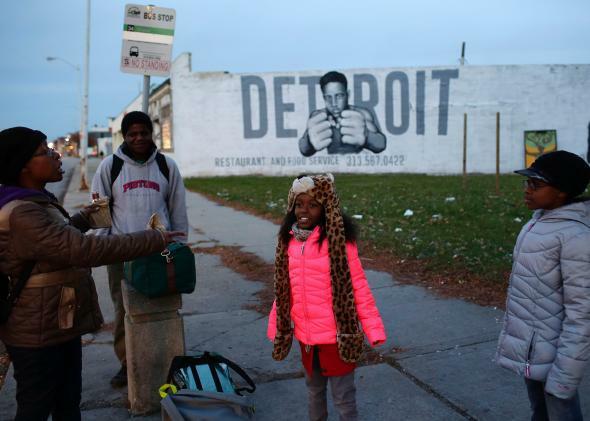 Tonja Boyd (left) talks with her daughters Nemyla Boyd (center) and Alexandria Boyd (right) as they wait at a bus stop on Nov. 7, 2014 in Detroit. 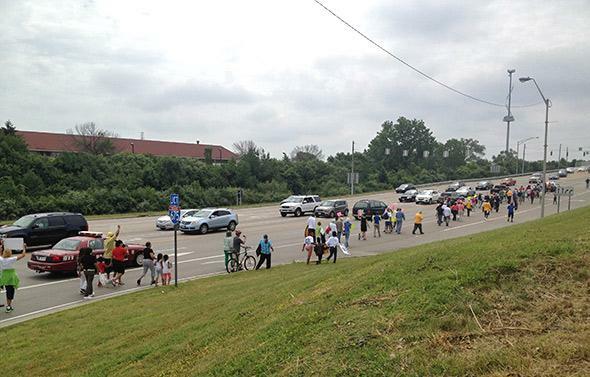 Dayton, Ohio residents march along a highway to protest the lack of bus service to area malls in June 2013. 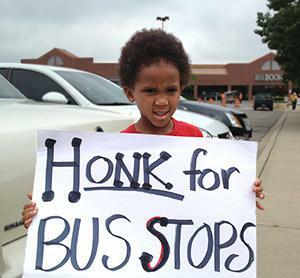 A young Dayton, Ohio activist rallies for better bus service in June 2013. 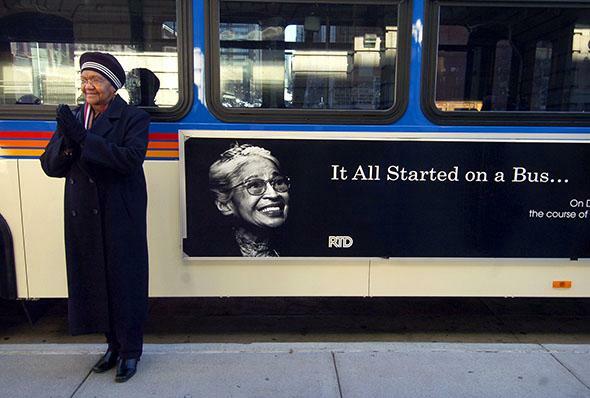 Gabriela Gomez, 31, comforts her son Edwin, 20 months, while riding the bus in Denver. 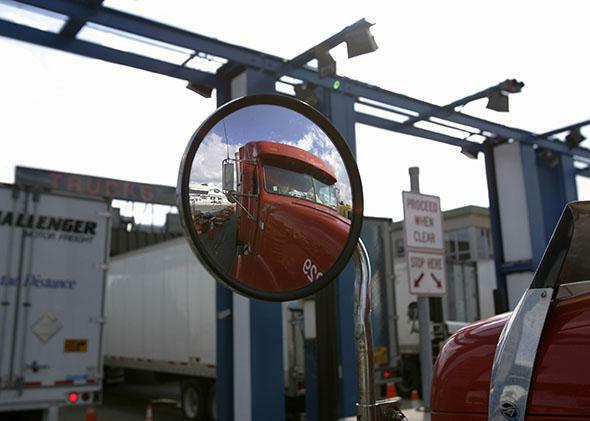 At the Peace Bridge Customs and Immigration plaza in Buffalo, New York, a U.S. Customs and Border protection officer checks a tractor-trailer for clearance on Sept. 20, 2005. Soto said neither she nor her fellow activists were present at the meeting; she says the Bridge Authority’s board meetings have been held on an irregular basis in Canada, making it difficult for activists to attend. The only board meeting currently listed on the Peace Bridge’s website took place two months ago in Fort Erie, Ontario. 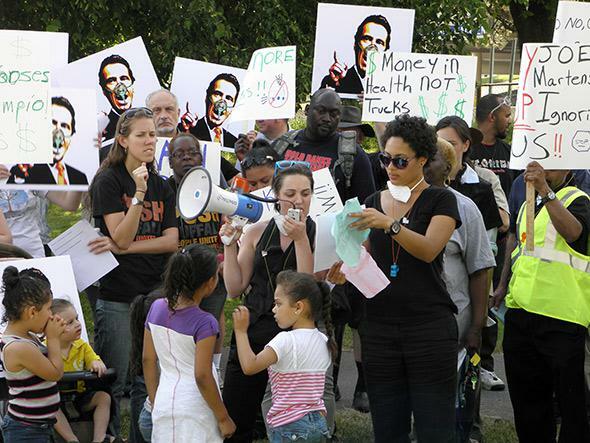 The Clean Air Coalition rally to demand air monitors on the West Side in May 2012.